Movies act as incredible resources of style inspiration. From Annie Hall (1977) to Drive (2011), films have been the catalysts of trends for decades. The Life Aquatic with Steve Zissou (2004) is one of my favorite movies for its satire, soundtrack, and style. The film’s brilliant cast and perfectly written dialogue are matched only by its iconic visual aesthetic. 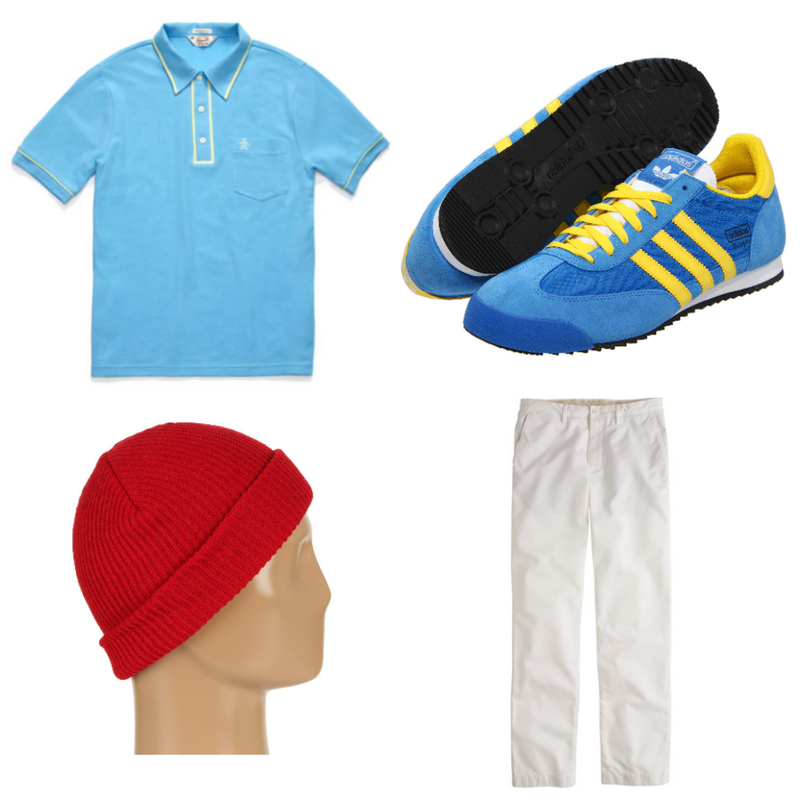 The main characters all don the same baby blue uniforms complete with custom Adidas sneakers and bright red watch caps for chilly nights at sea. While I tried to find pieces true to the film’s original look, I swapped out the blue pants for a more practical white chino (not that a beanie in summer makes any sense). A special thanks to my friend and fellow blogger Cassie Calamity whose Wes Anderson movie marathon inspired this post. America is never more alive than in summertime. Backyard barbecues, bonfires, and lazy days by the water are filled with the sights, sounds, and smells of this country’s grand heritage. Few things say summer like seersucker, and even less speak of American heritage like red, white, and blue. 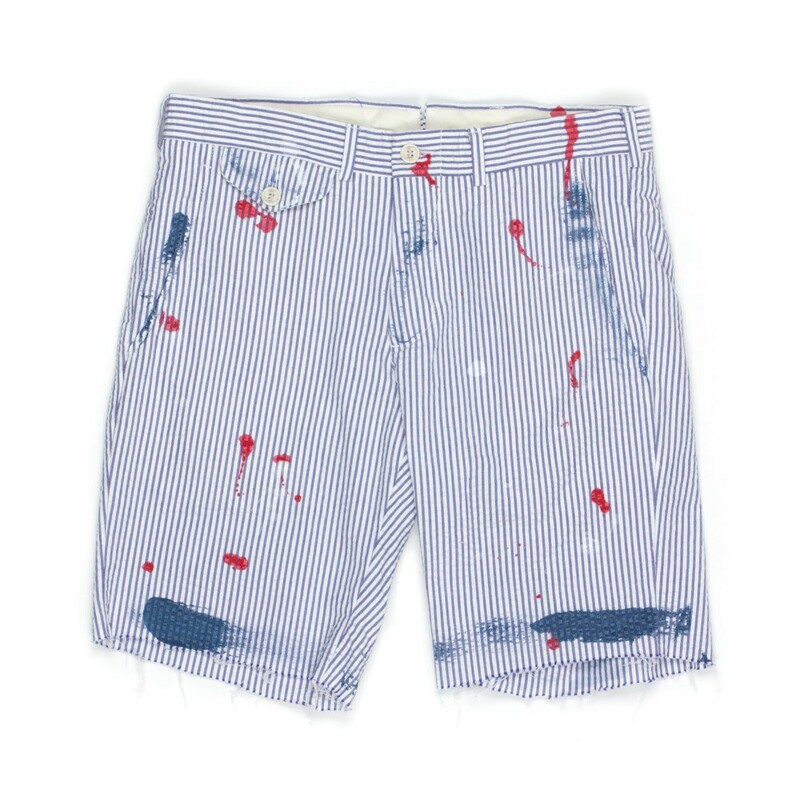 This pair of shorts from New York based Ovadia & Sons says both. The paint splatters and cut off legs perfectly offset the classic preppiness of the seersucker. These shorts, first spotted on Selectism, serve as an iconic representation of everything that makes this nation great. …O’er the land of the free and the home of the well dressed. $275 at Boylston Trading Co. I come from a long lineage of stylish gentleman. For generations the men of my family have known how to dress well. 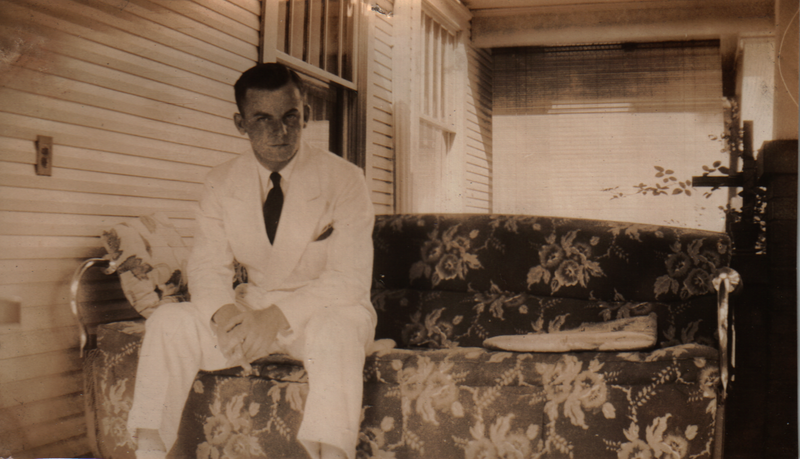 My great uncle, photographed here in 1937, had a dapper style I have come to respect. The list of men who can successfully pull off a white double breasted suit in 2012 is a short one, and I imagine it was even smaller back then. But he wears it impeccably, adding a simple black tie and pocket square. And from the air of confidence radiating from these photographs, he knew exactly how perfect he looked. He also understood the power of versatility, pairing the white DB jacket with black pants for a look that’s much more James Bond (not that he knew that). I count myself lucky to be able to look to the past to draw inspiration for my own style future. I get it; a jacket that costs more than my first car is a bit ridiculous. I’ve got you covered. 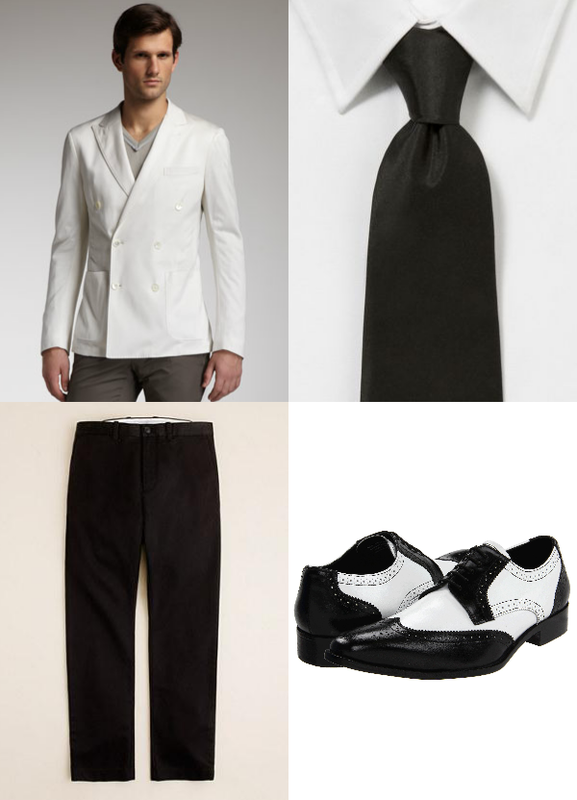 Try a white DB sport coat from Brooks Brothers for $398 or a John W. Nordstrom linen alternative for $345. Unsure of how to spend the $480 in couch cushion change you have? 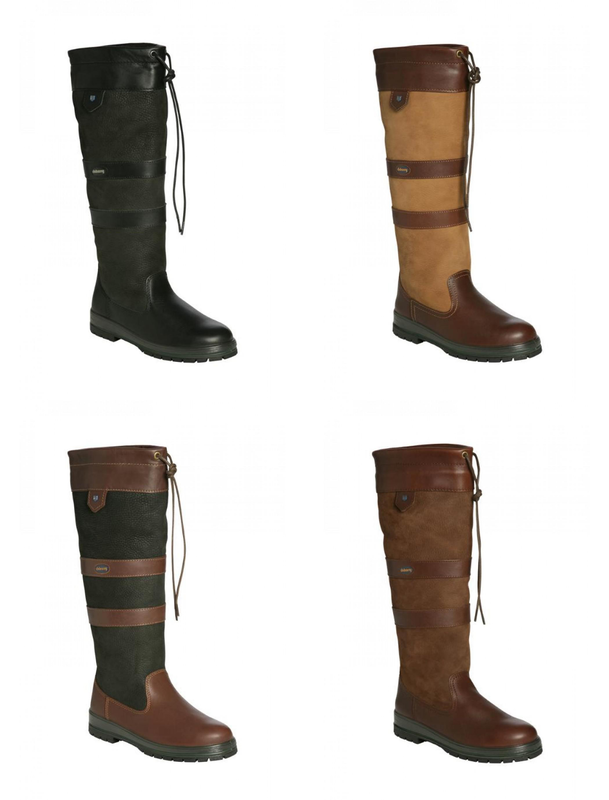 I suggest these stylish and durable Galway boots from Dubarry. Friend and décor blogger Emmy Smith of Progression of a Homebuyer saw these boots everywhere when she attended the Rolex event last weekend at the Kentucky Horse Park. As a style maven and equestrian herself, Emmy immediately recognized the appeal. Made from breathable leather and lined in waterproof GORE-TEX®, these boots are tough enough for horse tracks and trips to the grocery alike. It’s awesome when my minions send me trends and products they love, especially ones so Derby appropriate. Go forth and dress well. Femme Friday: Bright Bottoms from Rachel Y. After the first successful guest post from my friend and photographer Rachel Yacapraro of Iacapraro Photography, I had to get her back for another Femme Friday. She has the most incredible eye for women’s fashion; an aesthetic that’s translated into her modern, sophisticated photography. Her style sense is one that both I and her clients trust implicitly. Not one to ever play it safe, Rachel gathered some of her favorite fun and vibrant pants for this week’s Femme Friday. Inspired by her own pair of Zara trousers (dubbed her fancy fat pants), she scoured the Internet for bottoms that were anything but mundane. Rachel was especially smitten with the $50 tapered jeans from Armani Exchange and ordered them for herself. RY: I just ordered these last night! I think they will be a winner. 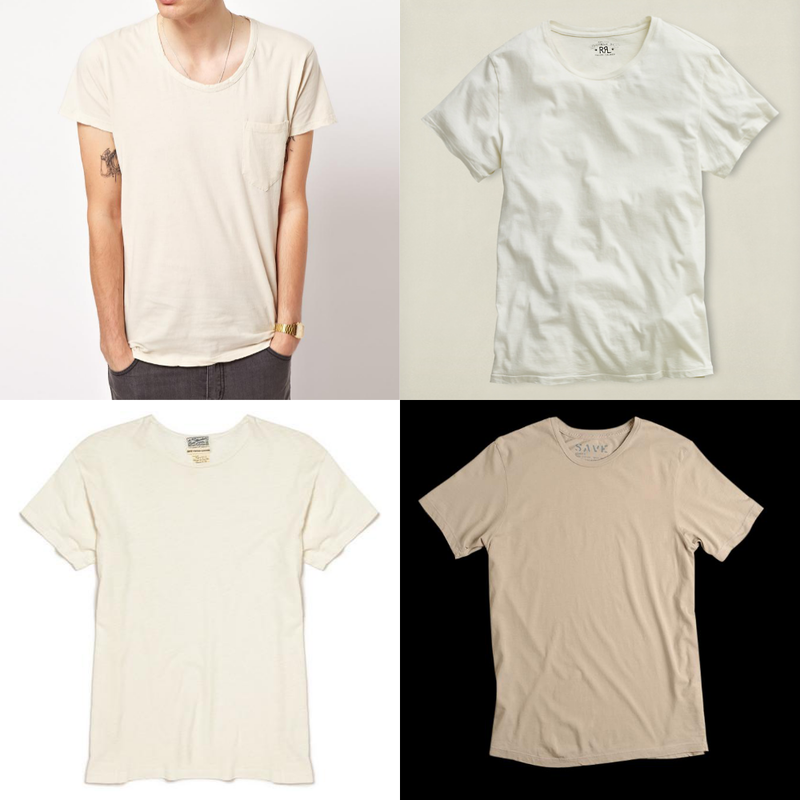 Pair them with a v-neck American Apparel tee and a fun sandal. Rachel has a style that is international, literally. The day after she sent me her finds the Zara pants were photographed in Hong Kong by The Sartorialist. No matter what your weekend plans entail, tackle them with style, grace, and of course a little fun. Happy Femme Friday. Style is more than just having a polished wardrobe; it’s also important to have a polished face. For years I suffered under the tyranny of expensive multi-bladed razor cartridges that never lasted more than a week against my thick beard. Sick of shelling out so much cash to get a silky smooth mug, I switched to a classic double edge razor. After mastering the learning curve, I’m a believer in simple blades. For my extremely sensitive skin, my new routine is a God send. The single blade doesn’t dig into my skin unlike with previous razors. Although my beard is thick enough to warrant a new blade every shave, the blades themselves are only about $.40 a piece. I completed my shaving set up with a proper badger hair and shave soap. Once an awful chore, shaving has become an experience I actually look forward to. What say you, minions? 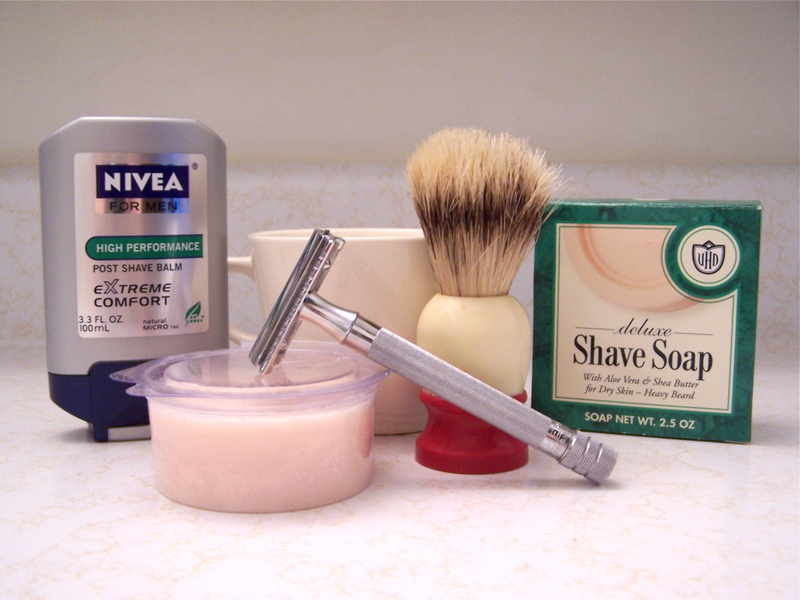 What does your shaving routine look like? 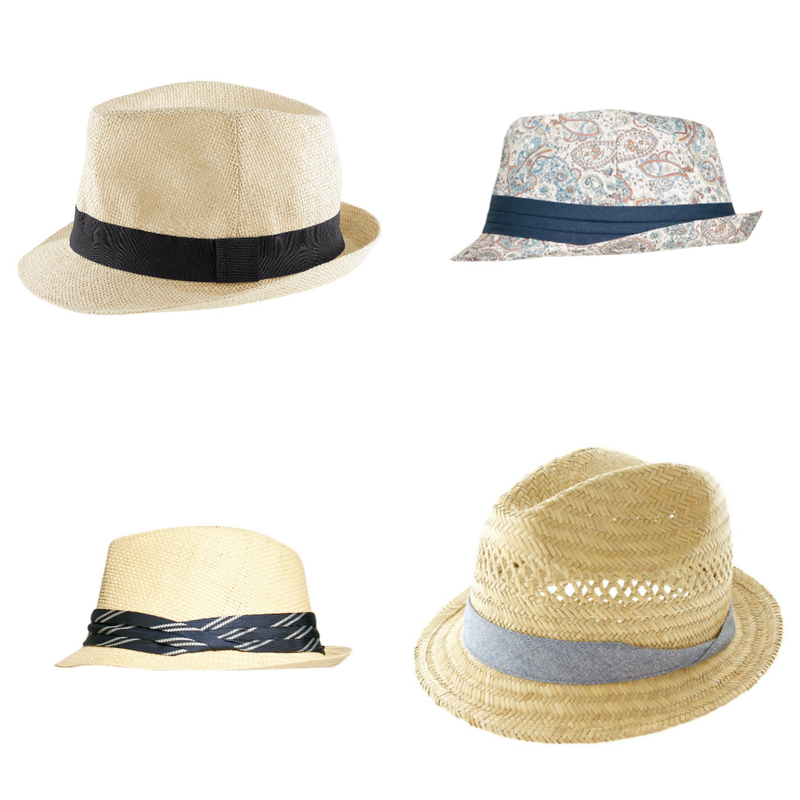 Hats are a summer staple and a simple way to add instant style. Seeing as how I look ridiculous in baseball caps, I stick with fedora and trilby type headgear. There are plenty of premium milliners (yes, I did have to look that up) that offer perfectly crafted pieces, but I prefer low priced options from local retailers like Target (selection is much better in store than online). Barbecue and beach friendly, these hats give you style and shade all while covering up that receding hairline you hope has gone unnoticed. My official outfit of summer is Levi’s 510’s, Converse, and of course a great white tee. It’s a classic look that’s survived the decades. 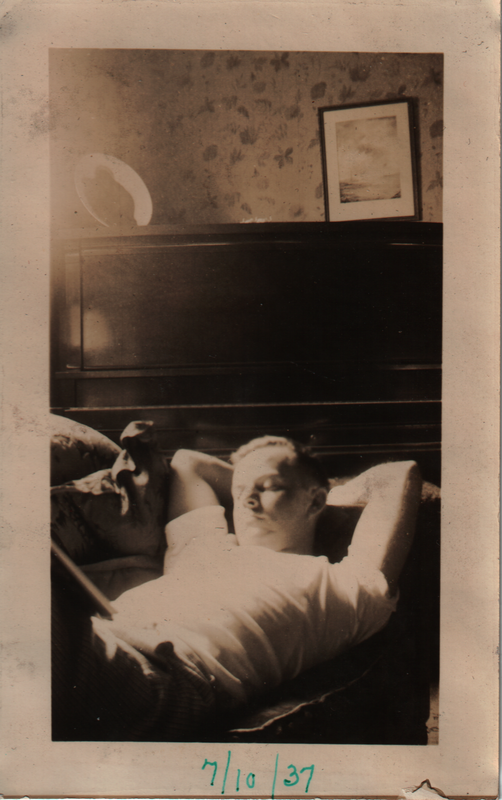 Inspired by a photo of my grandpa from 1937, I’m going for a vintage feel this year. White makes room for off white and fitted folds to loose. I can only hope I’ll look as cool and classic as this guy.